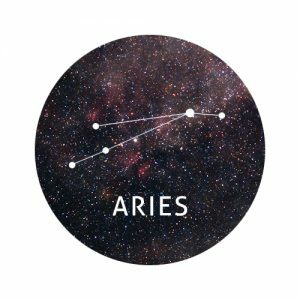 Someone from your past might make a reappearance in the coming week, Aries. You thought they’d gone for good but whether they’re paying a flying visit or sticking around, their presence might make you feel a little uncomfortable. Have you been keeping a deep dark secret? Someone might let the cat out the bag by the time the weekend comes around. Rather than picturing your world crumbling around you, try to put things in perspective. A rocky road may lie ahead but this doesn’t have to last. An old friend who has been through a tough time recently may ask a favour bigger than anything you’ve ever been asked before. You may feel as though you’re not cut out for the challenge but you may surprise yourself. Don’t be afraid to ask other friends for help. Those who care about you will be only too happy to be there for you. In other news, a colleague may throw accusations your way. If their complaints are completely unfounded, try to stand up for yourself without getting into a bitter argument. 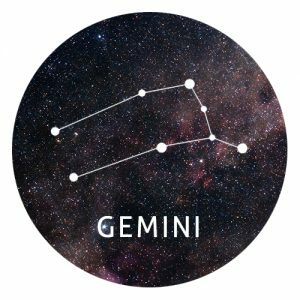 You may feel a little on the paranoid side in the coming week, Gemini. You’re trying to get to the bottom of something that happened in the past but no matter how much investigating you do, it feels as though everyone around you is keeping secrets and talking behind your back. Rather than flying off the handle or pushing people away, ask yourself whether they’re behaving this way to protect you. Some things are better off left unsaid and kept under wraps. This might just be one of them. 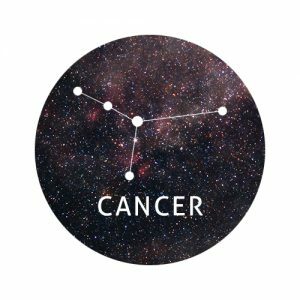 Oh Cancer, your charm and sense of humour will work wonders for you this week. If you go the extra mile to help a close friend, they’ll love you even more than they already do. This week won’t be all sunshine and roses, unfortunately. Something may happen that shocks you to your core and forces you to question your thoughts and emotions leading up to that point. Don’t push people away when they try to help. They’ll be the medicine you need to overcome the issue. A lifelong friend may come to you with an unusual proposition in the coming days, Leo. Their request might surprise you but you understand their motivations completely. If you’re happy to go ahead with their plans, prepare for a bumpy yet rewarding ride. Your friendship is stronger than ever and you’re sure to embark on a journey to remember. Don’t let your hot headed personality get the best of you by the time the weekend comes around. If someone rubs you up the wrong way, breathe deeply and count to ten before reacting. Do you have feelings for someone who is off limits, Virgo? If so, it’s time to take a step back and see the bigger picture. 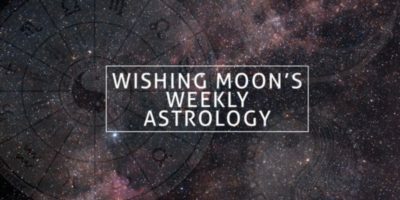 Although you may feel as though the two of you are meant to be, their partner is likely to see things very differently. Acting upon your feelings could cause a significant amount of hurt, so surround yourself with good friends and learn to move on. If it’s meant to be, it’ll happen on its own. Already in a relationship? Your partner might be dreaming about taking the next step. There’s just one problem. They’re not sure if you’re ready to make the move too. If you feel the same way, be vocal about your hopes for the future. Are you deliberately trying to cause trouble, Libra? If so, step aside and keep out of it. Whether you feel the urge to get revenge on someone who has wronged you or you’re keen to unleash a secret that’s been buried for years, think twice before opening that can of worms. Don’t let your worries get the best of you this weekend. You might have strong feelings about a friend or relative’s career choice but rather than persuading them to go down a different path, ask yourself why you’re so concerned. Did something happen in the past to make you worry this much? Remember that the past is rarely a reflection of how things will play out in the future. Are you feeling lonely, Scorpio? If so, be careful that your longing for companionship doesn’t force you to make any rash decisions. You may fall head over heels for someone this week but if you don’t use your head as well as your heart, you may end up doing or saying something you may later regret. Wearing your heart on your sleeve can have countless benefits but if you’re too open with those who don’t deserve your honesty, you could find yourself being taken advantage of. 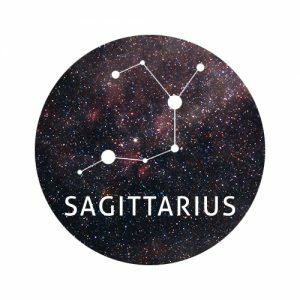 You made a mistake, Sagittarius, but you can’t beat yourself up about it forever. Your heart’s in the right place and you want what’s best for those around you, but sometimes that can lead you to make decisions you may later regret. Talk about your concerns to someone you can trust. You may find that once you open up about your worries and regrets, things aren’t quite as bad as they initially seem. 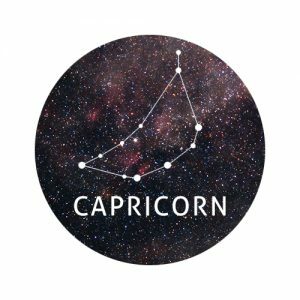 You may get some exciting news this week, Capricorn. We won’t spoil the surprise, but if it’s meant to be, the news will be big! If you miss out on an event or activity you were looking forward too, try not to curse your circumstances too much. Even life’s sad moments serve their purpose and life has a funny way of working out exactly as it should. Someone you trusted has let you down big time but try to refrain from coming down on them like a ton of bricks. They may have made a colossal blunder but their intentions were pure and they would never deliberately do anything to put your friendship on the line. You may become an accidental hero this week, Aquarius. By getting out there and doing exciting new things, you may find yourself in the right place at the right time to transform a stranger’s life. Bigmouth strikes again, ey Pisces? At the start of the week, there’s a chance you might say something you’ll regret by the time the weekend comes around. Don’t be too proud to say you’re sorry. An apology is sure to work wonders for the situation. Are you trying to impress someone at work? Whether you’re trying to get a promotion or you wish to win over your crush’s affections, be true to yourself and avoid changing your personality to suit others.